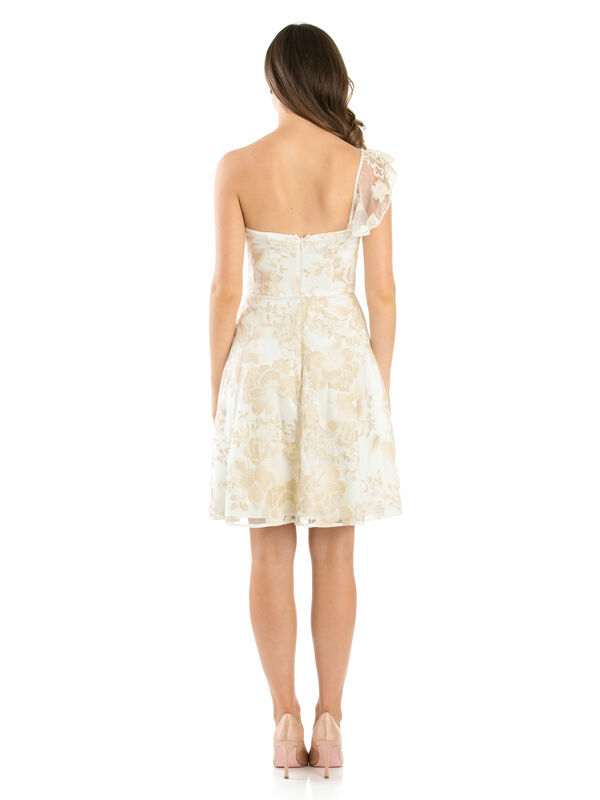 Rosie Eve Dress https://www.review-australia.com/au/rosie-eve-dress-cream/RE19DR345.RECRM009.html The ultimate dress for any upcoming special occasion, this Rosie Eve Dress boasts beautiful gold embroidery against a sophisticated cream background. The one shoulder design adds a modern twist to the look, whilst the chiffon ruffle strap brings back that feminine charm. Fitted with a concealed zip and a flared skirt adds a classic touch to this one-of-a-kind piece. Rosie Eve Dress is rated 5.0 out of 5 by 1.